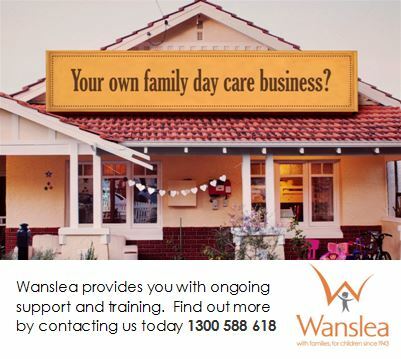 These awesome Perth & WA hairdressers provide great salons and play features to ensure your child or baby's next haircut is lots of fun! 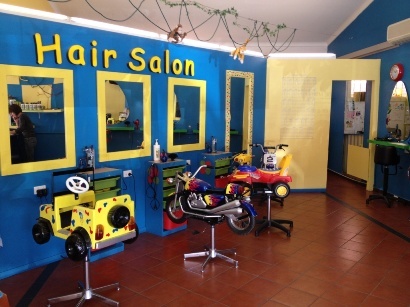 Some of them also provide play areas so you can get your hair done while they have a play too. 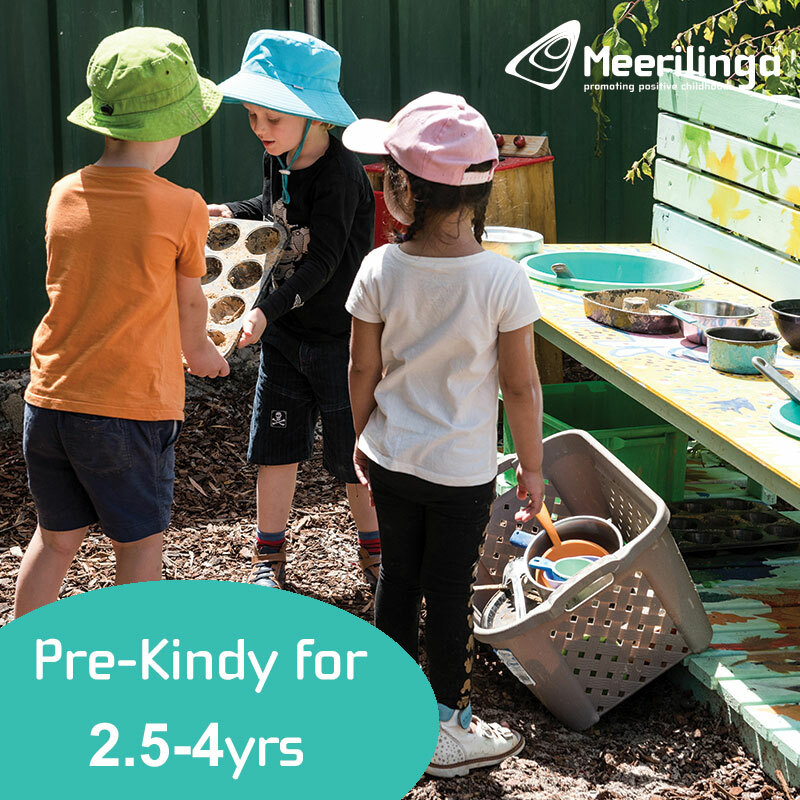 Great little playroom with viewing window, so they can play, watch tv or play the playsation while you get your hair done.Great place to get kids haircuts too. 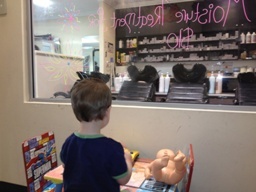 Kids can sit in an airplane or car and watch a DVD while they get their hair cut. Not just a haircut but the full little dude experience. Book your appointment on the iPad, get a text when they are ready for you, choose your complimentary beverage and watch the tv appear from the mirror. This is the perfect Dad and son outing and haircut in one. 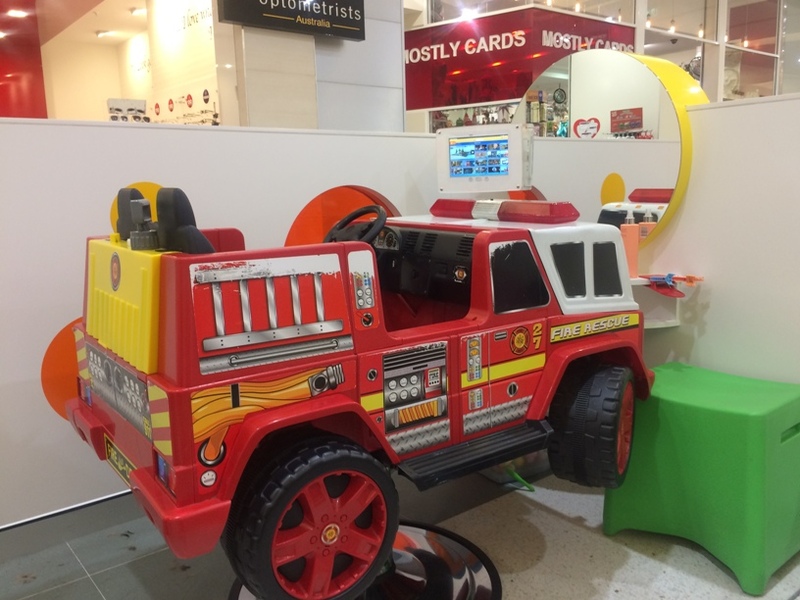 Kids can sit in a red sports car and watch a DVD while they get their haircut. Located in the North Beach Shopping Centre. 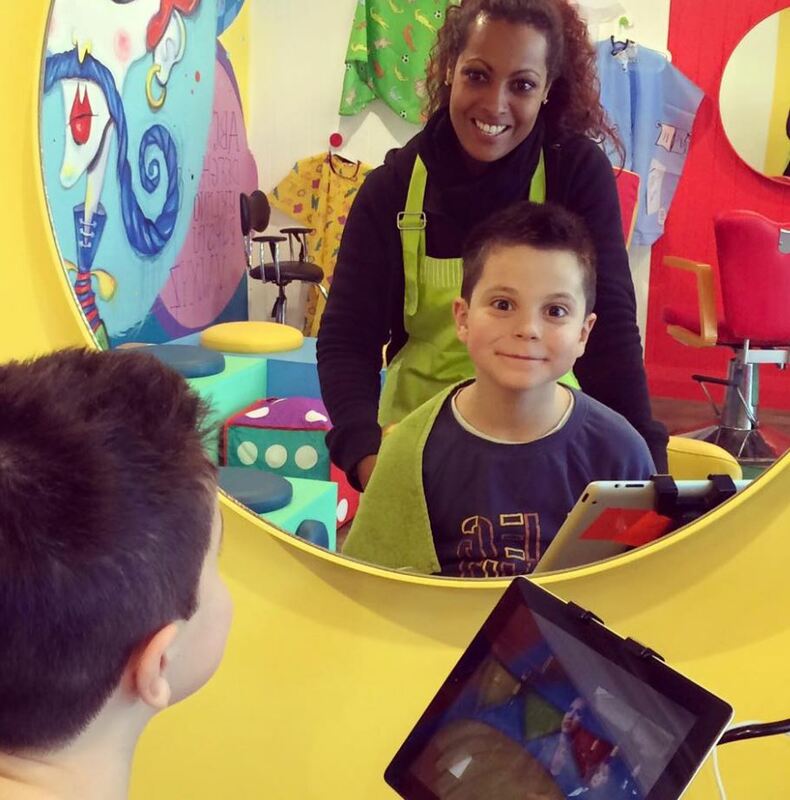 Kids are encouraged to pick from our special cool salon chairs and choose a colourful cape. Individual iPad TV’s and games are available to keep kids calm and slightly distracted to ensure they stay happy and fairly still during the cut. As a reward, kids not only leave with a great new hair cut/ style, but also a bag of popcorn! They also do kids Glamour and Pamper Parties. 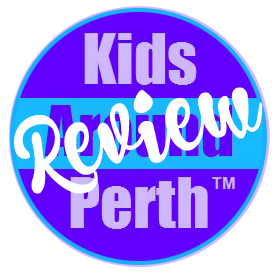 Kidz Kutz is a hair salon designed especially for children, with no noisy hair dryers and no strong smells from chemicals, they simply do fringe trims, cuts and hair styling in a bright, fun and friendly environment. They also do Glitz Parties. Not just a haircut, but an experience - with glitter, coloured hair wax and more for making them look cool after the cut is done. 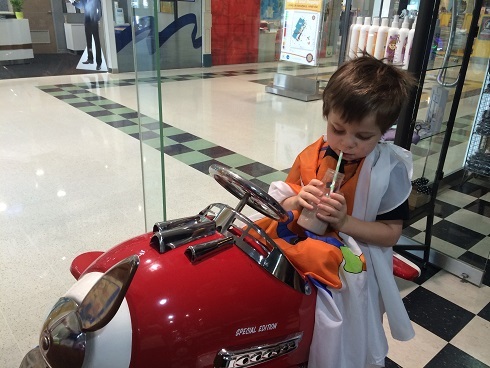 Motorbike, car and other fun seats & DVD's to distract them while they get their cut done. 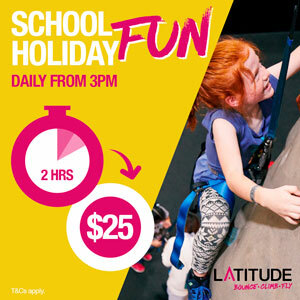 Good idea if you want to get their hair done before a party or school disco too! 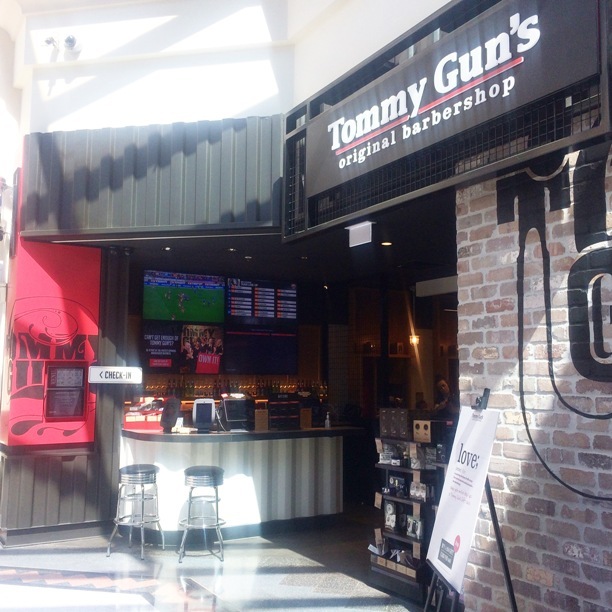 Not only can you get your child a great haircut here, kids are given the royal treatment with a milkshake, dvd and a fun plane or car seat to sit in while they get their haircut. And to top it all off a lucky dip bag to take home.